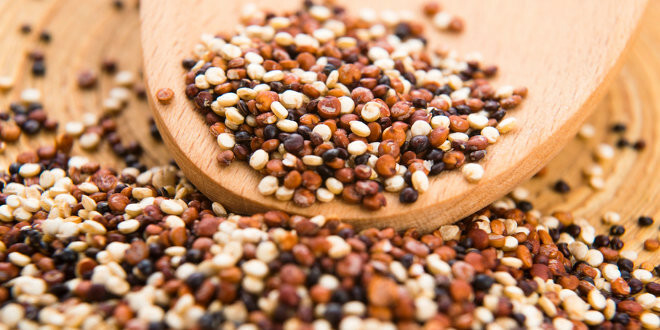 Quinoa is considered to be one of the healthiest foods in the world. However, despite the wide variety of foods available, many people still stick to the basics. They are doing themselves a disservice because healthier and tastier alternatives may be available. 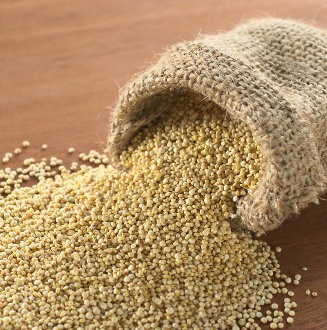 Quinoa may have been relatively unknown before 2013 but the United Nations Food and Agricultural Organization put an end to that when it dedicated an entire year to this grain. Though the grain may appear just like any other, it has a long and interesting history. Originating in the Andes Mountain region of South America, the grain was domesticated between 3,000 and 4,000 years ago so humans could consume it. Non-domesticated varieties date back as far as 7,000 years ago. Today, this grain is enjoyed all over the world. This grain crop is considered a pseudocereal and is related to tumbleweeds, beetroots, and spinach. It is an annual plant that reaches between three and six feet high and has powdery leaves, a woody central stem, and panicles featuring an axis with flowers. The edible seeds measuring less than a tenth of an inch are processed after harvesting to remove a coating that contains saponins, which are chemical compounds that have a bitter taste. Though saponins make the grain unpalatable, they protect the plants from being eaten by birds. Scientists have had difficulty reducing the saponin content through a selective breeding process due to contamination from cross-pollination. Saponin is used for many non-food purposes in South America so it is not wasted. This grain is typically sold in either bulk or in prepackaged containers. The type most commonly found in supermarkets and natural food stores is off-white but there are also black, red, and tri-color versions. Before making a selection for purchase, ensure that there is no moisture in the container. This grain expands to several times its original size during cooking, so take that into account when deciding on quantity. Store the seeds in an airtight container and place in the refrigerator for up to six months. Rinse and rub seeds to remove any remaining bitterness. Cook this grain and consume it in the same way you would rice. In a saucepan, add one part grain to two parts water. Let the mixture come to a boil, reduce heat to simmer, and cover the saucepan. It takes about 15 minutes to cook one cup of seeds. When seeds are cooked, they become translucent and the white germ is partially detached, resembling a tail. The leaves of this grain are also consumable as a leaf vegetable, typically enjoyed as a side dish. This grain was an important dietary component for pre-Columbian Andean civilizations and is now considered a “superfood.” It seeds contain lysine and other essential amino acids. For a pseudocereal, protein content is considered high at 14 percent. Per 100 calories, the seeds have higher protein content than potatoes, brown rice, and barley. Based on nutritional equivalents, this grain is considered a source of complete protein. Seeds also contain notable amounts of iron, phosphorus, magnesium, and calcium. The calcium content makes this a good substitute for lactose intolerant individuals and practicing vegans. The seeds are also gluten-free and are very easy to digest. As a source of dietary fiber, the grain is a healthy addition to diets typically lacking in fiber. Recently, researchers have studied the antioxidant and anti-inflammatory phytonutrient content of this grain. These anti-inflammatory compounds may be attributable to the decreased risk of obesity and other inflammation-related issues in animals that consume the grain daily. In addition, researchers believe that the content of flavonoids kaempferol and quercetin is more concentrated than it is in lingonberries, cranberries, and other known high-flavonoid berries. Due to the many nutritional benefits and ease of digestion, NASA is considering this grain as a possible crop as part of its Controlled Ecological Life Support System used for long-term spaceflights with human occupants. To increase nutritional value, the raw grain can be germinated, multiplying vitamin content and activating natural enzymes. Germination in clean water takes only two to four hours. This grain is becoming more popular in Canada, the United States, and other countries where it is not typically grown, increasing the value of crops. It may cost a bit more but the nutritional benefits outweigh the added expense. As of 2013, quinoa was certified by the Orthodox Union as kosher for Passover, allowing members of the Jewish community to substitute it for forbidden leavened grains.